OnePlus earlier announced that the launch of the OnePlus 2, successor to the flagship killer OnePlus One, will be done on July 27. And the announcement can be experienced by a unique virtual reality event, and has created its own custom Cardboard VR for the big unveil. 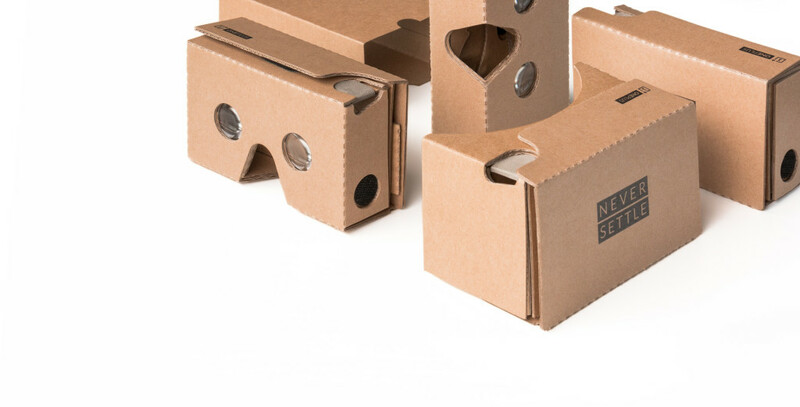 The company revealed the pricing details of the OnePlus cardboard VR headset. The VR Headset priced at INR 99. OnePlus revealed few details of the upcoming OnePlus 2 flasgship killer, The OnePlus 2 packs QualComm Snapdragon 810 (Ver 2.1), as well as Type C USB port and Fingerprint Sensor. According to rumors, The Oneplus 2 include 5.5-inch full HD(1920×1080 pixels) display, 3GB RAM, 16-megapixel rear camera and 5-megapixel front camera and Android 5.1 Lollipop. The OnePlus Cardboards will go on sale from the third week of July at a super price of INR 99 on Amazon India. The exact sale date on the platform will be communicated to social media channels soon.